For some reason, many dramas have chosen to go with a poetic seven-character title format, and The King’s Woman 秦时丽人明月心 is the latest show to follow suit. 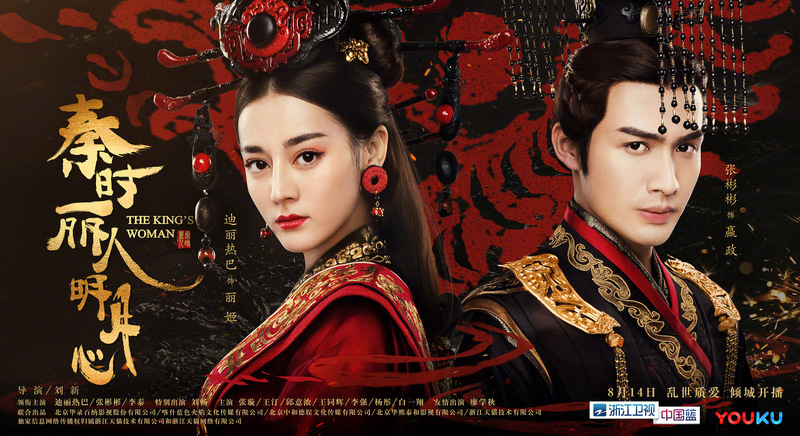 Starring Dilraba and Zhang Binbin (costars in Pretty Li Huizhen, TLTWTMPB), the upcoming drama tells of the fictional love story between Concubine Li and China’s first Emperor. Gongsun Li (Dilraba) and her two disciple brothers Jing Ke (Liu Chang) and Han Shen (Li Tai) meet Ying Zheng (Zhang Binbin) by chance, and save him from a group of bullies. Gongsun Li and Jing Ke develop romantic feelings for each other, though Li decides to become Ying Zheng’s concubine to save Jing Ke from death. Upon entering the palace, Li discovers she is pregnant with Jing Ke’s child, and Ying Zheng readily agrees to accept the child as his own. Li is touched by Ying Zheng’s selflessness, and eventually falls in love with him. However, things become complicated when she reunites with former lover-turned-assassin Jing Ke. Adapted from Wen Shiren’s The Legend of Qin Prequel, the 40 episode drama is directed by Liu Xin (Little Valentine) and written by Chen Huiru (Black & White Episode 1: The Dawn of Assault). The King’s Woman is slated to air every Monday to Wednesday from August 14th. This entry was posted in Drama, Mainland China and tagged Dilraba, Li Tai, Liu Chang, The King's Woman, Zhang Binbin by XDramasX. Bookmark the permalink. Love the cast. Super looking forward to it even though it sounds like a terrible mess already haha.